Should I Build My Own Field Shelter? Field shelters are extremely beneficial to turned out horses and will be used all year round by your equine friends as they seek shelter from the elements. 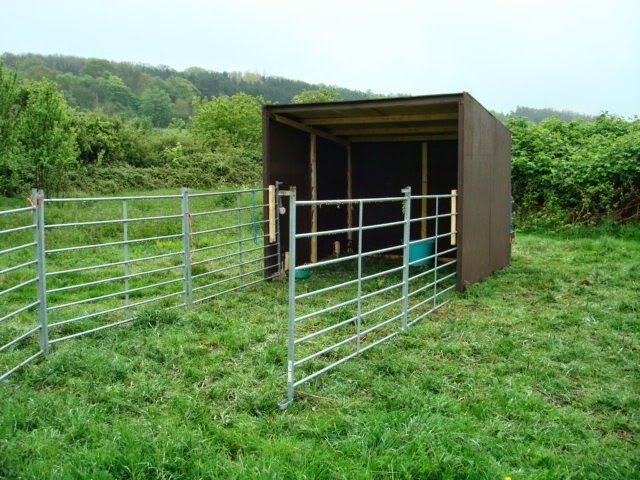 There are many different types and designs of field shelter to suit the space available and the number of horses in your paddock, and shelters can be built to order according to your exact specification. Design to Order or DIY? There are obvious cost benefits to building your own shelter as you can make huge savings on design and labour charges, plus materials can be bought relatively cheaply from trade yards. However you need to make sure that you know exactly what you are buying and that it is safe for your horse and fit for purpose. Your timber needs to be the correct length and thickness to accommodate the height of a horse and withstand the weight of him leaning or pushing against it, not to mention kicks or strikes with a hoof. The average minimum dimensions for field shelter designed for one horse is between 3 and 3.6m wide, with an extra 1.5m added to the width for every horse added to the field. However, if you aren’t finding the best prices then building your own can be just as expensive as buying new! Bespoke shelters designed to suit your yard needs provide a purpose built pre-treated framework that can be built by you or erected by the suppliers saving you a great deal of time and effort. If you want to erect a fixed field shelter you will need to contact your local council in order to seek planning permission. Mobile field shelters do not require such permission and can be built on steel skids to facilitate their movement, however they are sometimes considered to be less stable as they do not firm foundations like their fixed counterparts. The ideal location for a field shelter is a flat, well drained area, preferably away from gates and fences that are prone to getting muddy in the winter months. If you have a particularly hilly or boggy paddock then finding a suitable flat surface may prove tricky, in which case you will need to create a level surface or hardstanding on which to build to prevent your shelter from slipping. For particularly exposed paddocks you may also need to look into staking mobile field shelters in order to keep them stable in gusty weather. When building a field shelter you need to use strong durable materials that can withstand both the elements and it equine inhabitants, particularly if it will be accommodate more than one horse as kicks to the walls can be inevitable amongst larger herds. The shelter should be constructed using good quality treated timber with ply panel kickboards of a minimum 4ft height within. The timber will need to be treated again once erected to ensure it is weatherproof and corrugated material is frequently used for the roof thanks to its strength and unique drainage properties. Building with these materials is not difficult, however it is important that their construction is overseen or carried out securely and thoroughly by an expert who can ensure that it is secure.